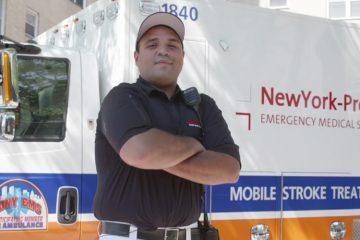 See how NewYork-Presbyterian’s care teams tap into the latest technological advancements in medicine to provide the best patient care. Here, you’ll find stories that show how the nation’s medical leaders at NewYork-Presbyterian are innovating patient care. 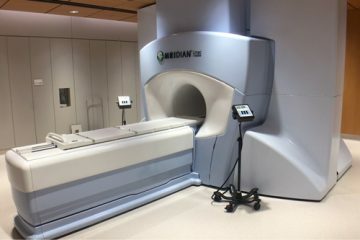 This includes using Mobile Stroke Treatment Units in Manhattan, Brooklyn, and Queens to reach critically ill people and provide stroke treatment just minutes after symptoms appear, and supporting kiosks in pharmacies across Manhattan to remotely connect providers with potential patients. 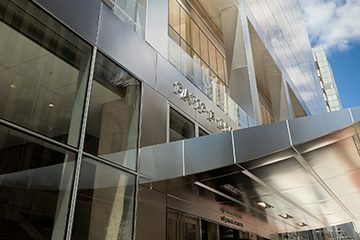 Go inside the new David H. Koch Center, which focuses on cutting-edge ambulatory care, and read the stories of staffers like Rosemary Ventura, a nursing leader who is using informatics to improve the patient experience. 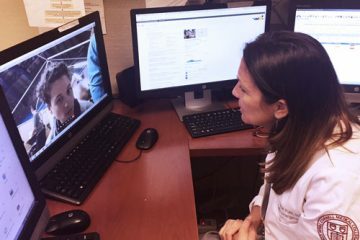 Read about the impact of robotics on medicine and how doctors are applying innovations to advance patient care. Learn about the path of Dr. T. Sloane Guy, director of Robotic Cardiac Surgery, who leads the first-ever robotic cardiac surgery program at NewYork-Presbyterian/Weill Cornell Medical Center and Weill Cornell Medicine, and how he heads a clinical team that performs innovative and minimally invasive procedures for cardiac patients.